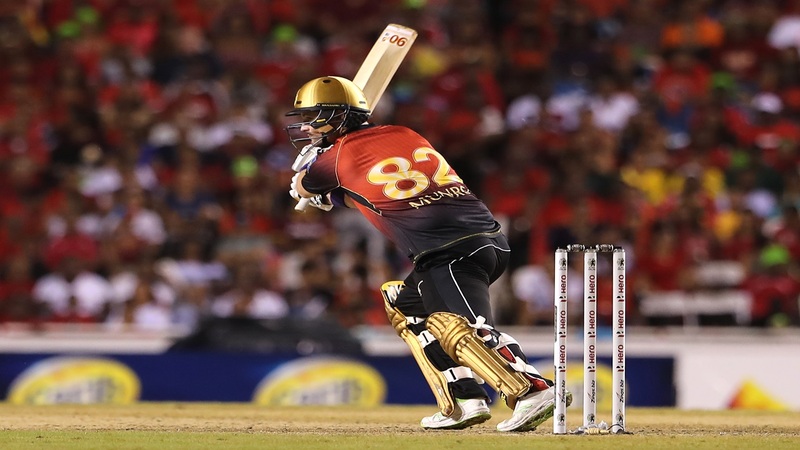 Colin Munro of Trinbago Knight Riders bats during the Hero Caribbean Premier League Final against Guyana Amazon Warriors at Brian Lara Stadium on September 16, 2018 in Tarouba, Trinidad and Tobago. (PHOTOS: CPL via Getty Images). 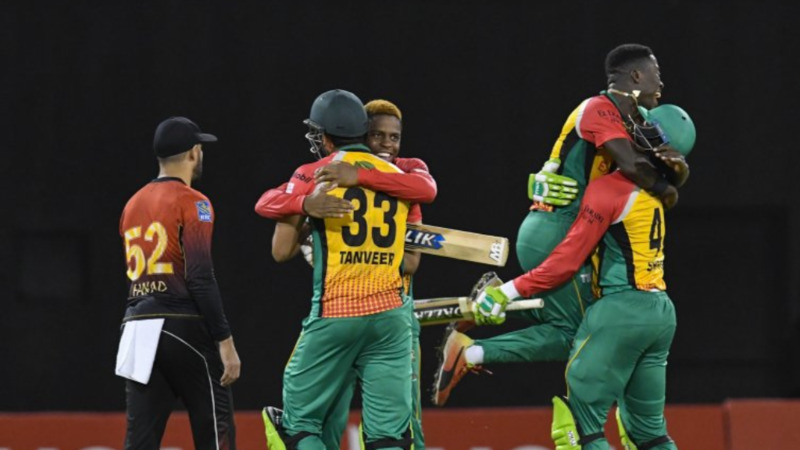 Trinbago Knight Riders sealed a third Hero Caribbean Premier League (CPL) title with a commanding eight-wicket victory over Guyana Amazon Warriors at the Brian Lara Academy on Sunday night. Fittingly, it was Colin Munro who hit the winning runs having become the first batsman both to pass 500 runs and then to score six half-centuries in a single Hero CPL season. His brutal 68 not out from 39 balls eased his team past a target of 148 after fellow New Zealander Brendon McCullum had got the run-chase off to a flying start with 39 off 24. 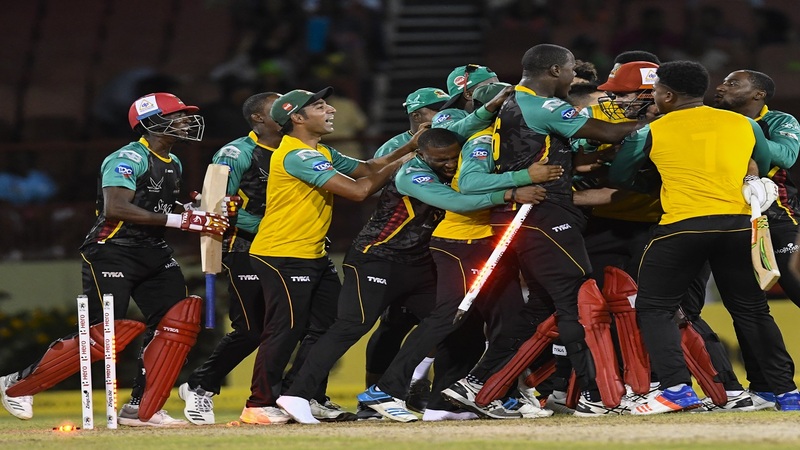 Trinbago Knight Riders celebrate during the Hero Caribbean Premier League Final against Guyana Amazon Warriors. 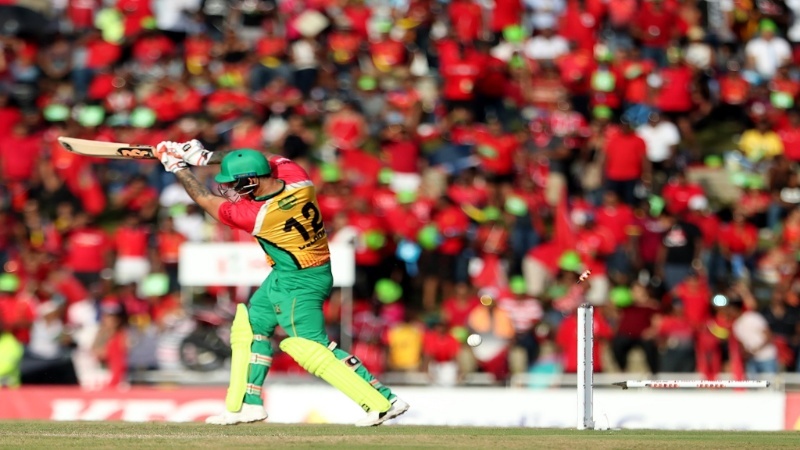 Munro brought up his latest 50 from just 33 balls with successive sixes off Rayad Emrit, adding a third six in a 27-run 17th over that effectively ended the contest. All the Knight Riders bowlers played their part in restricting the Warriors to 147 for nine. Dwayne Bravo was able to use just his five main bowlers, including himself, with all five getting something in the wickets column and none going for more than eight an over. Ali Khan made the perfect start, ripping out Cameron Delport’s off stump with the very first ball of the night. He finished with one for 20 from four exemplary overs to end a fine Hero CPL campaign with 16 wickets to his name. 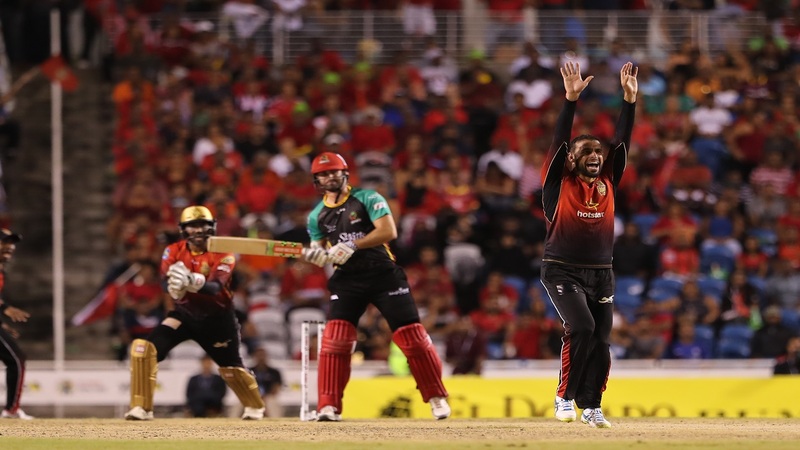 Luke Ronchi was holding the innings together but his departure for a well-made 44 from 35, chipping Khary Pierre to deep cover, triggered a collapse from 79 for two to 109 for eight. Pierre himself snagged two more wickets, including an outrageous caught and bowled to see off Sherfane Rutherford. The ball was drilled back at the bowler, who jerked his head out of the way and stuck up his hands. Remarkably, the ball stuck in his right hand and a disbelieving Rutherford had to drag himself from the field. Cameron Delport of Guyana Amazon Warriors is bowled by Ali Khan of Trinbago Knight Riders. At 109 for eight the Warriors were sinking without a trace, but Shepherd, Emrit and Imran Tahir scrambled 39 from the last four overs to give themselves something to bowl at. 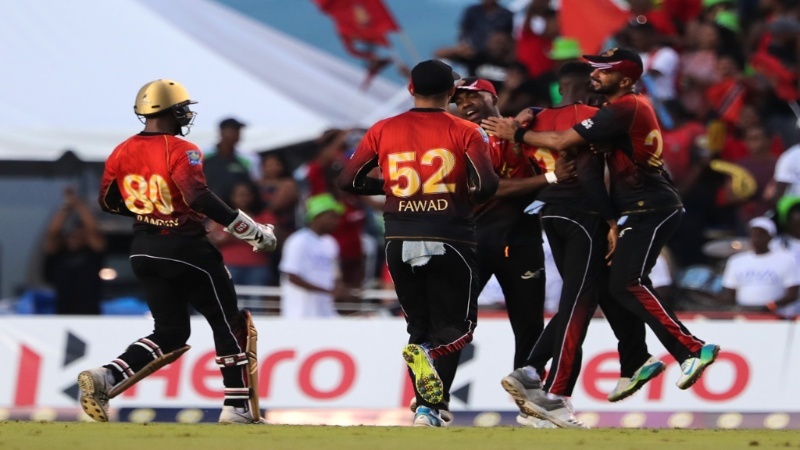 SUMMARIZED SCORES: Trinbago Knight Riders 150/2 (Munro 68*, McCullum 39, Shepherd 1/29) beat Guyana Amazon Warriors 147/9 (Ronchi 44, Pierre 3/29, DJ Bravo 2/30) by eight wickets with 15 balls remaining.